Delivering great services to your clients is essential for success in any business. Concetto Labs help clients raise their business through restaurant management. We create amazing applications which can manage everything by itself. Today, the usage of smartphone and mobile apps is increasing. Thus, having a Restaurant mobile application is crucial for marketing your business online. 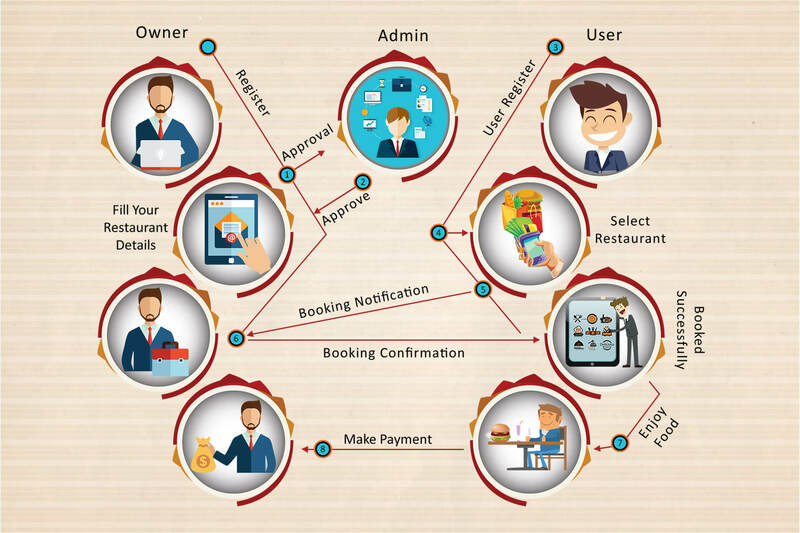 How we placed a big-foot in Restaurant app development industry? Nowadays, dining out is becoming a trend in the society. Whether they are middle class or high class, everybody enjoys dining out. This has given a boost to the restaurant business. This helps business owners and managers convert the present food lifestyle into earning more money. 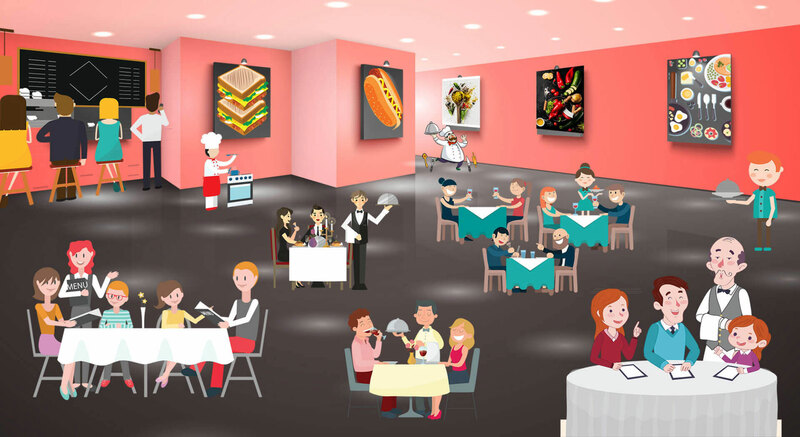 Concetto Labs is one of the leading Restaurant applications Development Company in India. We can develop the best Web and Mobile application for your own Restaurant. We have skillful mobile application developers. they can design and develop your restaurant app on both iOS and Android platform. Till date, we are working with number of restaurant owners and start-ups to grow their business globally. Apart from Restaurant application, we have an experience of other apps. Like entertainment applications, educational application, Game apps, travel applications, social networking application etc. Know how we can help you create your food delivery application. Have a look at our services and technology. Having a notable professional team of restaurant app developers, we provide following restaurant app development services. At Concetto Labs you can hire your restaurant mobile application developer. We provide you the guaranteed experience for development. We have earned big round of applause through our project management experience. We provide in-built purchasing service by a single click on the window. People can order without being physically present. For a particular product, customer can directly search on the search bar. They can have the list of all related items accordingly. Payment method will be secure on the application. Customer can order their food without having any afraid of payment. To take food from the restaurant, we provide food pick up service. They can pick up and deliver at the destination place. With the app development, we also guide our customers how to market their product and service among users. Socialism is the best way to share the idea of your service. So, how to market your product in society will also be guided by us. 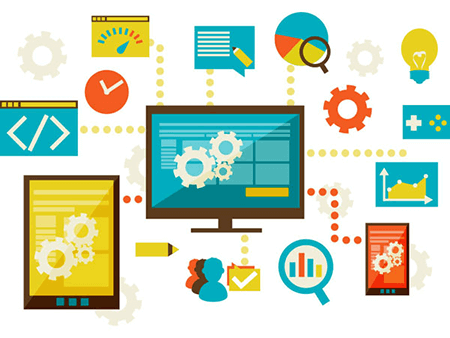 You can attract more customers through your user experience and user interface. For food ordering, we provide the service of home delivery. Thus, people can get their food at home. Browse the nearby restaurants, place YOUR ORDER & DINNER will be at your doorsteps! Why should your restaurant app be called “Made by Concetto Labs”? We have created specific marketing features which we can apply differently and effectively. Our dedicated module can be obtained at very low cost and with the best performance art. You can get regular report from our dashboard analysis and report. It allows you to check your complete business performance, ROI and customer behavior. We create an application to achieve your targeted goal. Thus, we can assure you for the 100% return on your investment. We understand the needs of our clients. Thus, we gained a plus one over our competitors. The cost is always a detrimental factor while creating our own application. Thus, we provide the cost effectiveness with the quality for your application. We don’t bind ourselves within limited technologies. We have an experience of different technologies like A.R., V.R., Wearable devices, payment gateway etc. Our well experienced and professional team has a strong base. We are very much obliged by the constant excellent services provided by our team. We continuously strive for excellence in what we do.